HAVE YOU EVER HAD THE DESIRE TO TRAVEL SOLO BUT DIDN’T KNOW WHERE TO BEGIN? 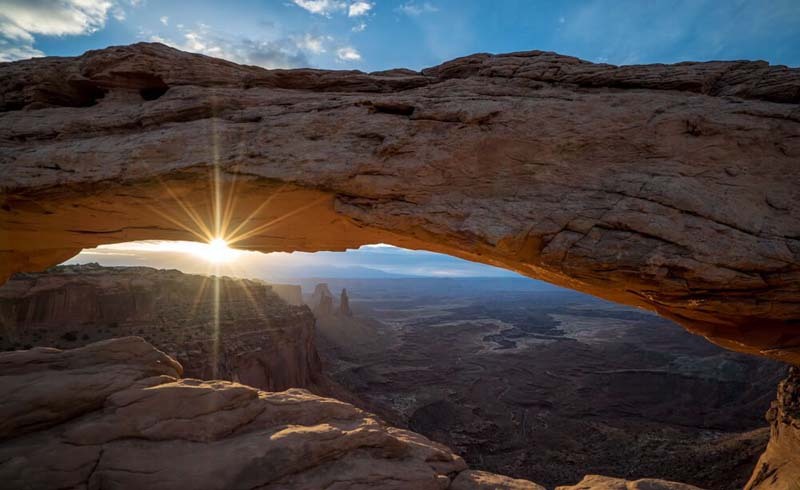 PATRICK GENSEL USES HIS SOLO ROAD TRIP AROUND THE AMERICAN SOUTHWEST AS A TEMPLATE TO GIVE YOU THE TIPS YOU NEED TO HAVE A GREAT SOLO EXPERIENCE. In Desert Solitaire, Edward Abbey wrote “We need the possibility of escape as surely as we need hope.” I think Abbey was speaking to all of those of us who have wanderlust, and maybe the desire to get away once in while without a partner. There is something to be said about the feeling of freedom that comes with a solo journey. You alone, dictate every decision, giving you the flexibility to change your plans at the drop of a hat. In 2013, I decided to embark on a solo journey on my own. I flew into Las Vegas and rented a car with a goal of doing a loop through Utah, Colorado, New Mexico, and Nevada. During this solo adventure, I learned a great deal about self-reliance, and who I am. When I arrived at Philadelphia International Airport to catch my flight to Las Vegas, I found my flight was delayed about an hour. I thought no big deal, and sat down to wait it out. When I arrived in Las Vegas, I arrived at the rental car window to find that my car reservation had been forfeited due to me being late, something I had never considered before. Fortunately for me, there were cars available with other companies, but this is not always the case, and I lost a good rate by not calling ahead and letting the rental company know that I was likely going to be late. That being said, plan ahead by either building a margin of error into your rental pickup time, or call the rental company and tell them you’re going to be late. 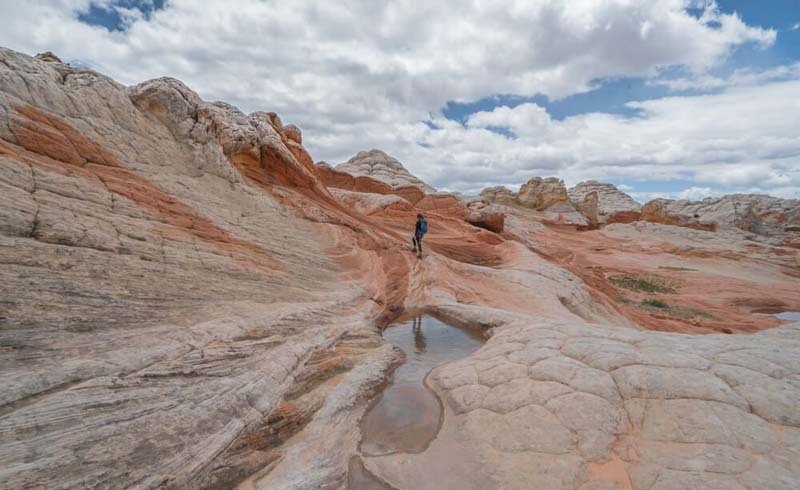 If you are traveling in the American Southwest, there is no shortage of opportunity for outdoor adventure, from canyon hiking to mountain biking. Traveling solo doesn’t mean you have to avoid these activities, it just means you have to be extra vigilant to protect yourself. Take extra time to plan each day when you wake up and let friends of family know where you are going and when they can expect a call from you saying you are back from your day of adventuring. Even if you can’t get ahold of someone to let them know your plans, a quick post to social media with your plans will leave a digital note of what you plan to do. When I did a solo hike of Wire Pass, I called my mom and told her where I was going, and what time I would call her to let her know I was done. The key here is not to forget to call when you are done for the day. When traveling solo, you will sometime find yourself missing your loved ones. This does not mean you are not a good solo traveler, it just means that you appreciate the company of those you love. For me, one of the best things about solo travel is reconfirming the things and people I love in my life. There is nothing better than a little time away to bring things into perspective. Everywhere you turn, there are opportunities to make new friends, especially when you travel solo. When I visited Aches National Park and hiked up to Delicate Arch, I became friends with a girl who was practicing yoga in the beautiful serenity of the park. Use your lack of companion as a motivator for starting new conversations and meeting new people. I arrived at the North Rim of the Grand Canyon in the late afternoon with nowhere to sleep, and no available lodging. While drinking a few local beers at the bar in the North Rim Village, I struck up a conversation with the bartender and mentioned my sleeping predicament. I only needed a few hours of shuteye before hiking down into the canyon. He mentioned just laying down on one of the couches in the lodge. He said security never kicked hikers out. I took his advice, and got a good night of sleep with no trouble. Well there you have it, a few tips to make the best of a solo adventure in the American Southwest, or really anywhere you can dream up. Remember to step outside your comfort zone, make new friends, and enjoy some solo time with your thoughts, you will be amazed about what you will learn about yourself. Now get out there and start planning that solo adventure.